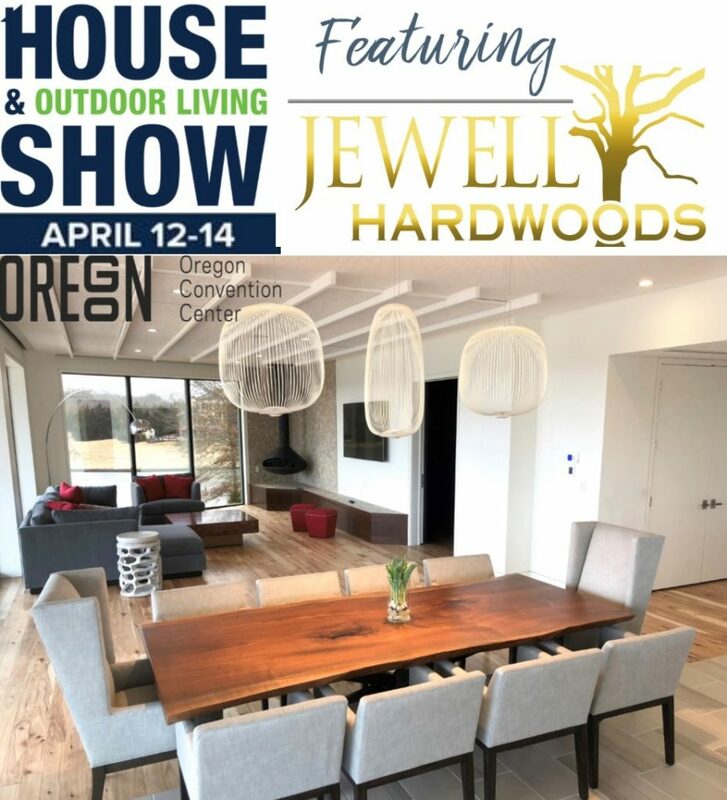 New Designs from Jewell Hardwoods Custom Furniture will be featured at the Portland House and Outdoor Living Show, April 12-14, 2019 at the Oregon Convention Center. Portland designers and home owners have been anticipating the reveal of our newest handcrafted collections for this year. This is your chance to view and purchase some of the most beautiful tables you have ever seen. We are bringing tables in every size from coffee tables, to smaller kitchen nook tables and dining tables up to 8ft long. Also showing off our gorgeous Live Edge Black Walnut Kitchen Island. Something for everyone. Our owners and furniture designers will be there to answer your questions and discuss any future projects you have going on. We look forward to meeting you at the Portland House and Outdoor Living Show, April 12-14, 2019. Check out our Finished Furniture Page to see some of the tables you will see at the show. Or for more ideas head over to our Furniture Gallery to see past projects we have created. Your dream table is waiting for you! If you are looking for something completely One-Of-A-Kind, we can always Design and Create Your Very Own Custom Piece! Head over to our Custom Furniture Page to learn more about our process. Our furniture designers will be at the show to talk through your own custom piece of furniture. Our Oregon City Showroom is always open Monday – Saturday 8am-4pm. No appointment needed. See our Contact Page for Directions. 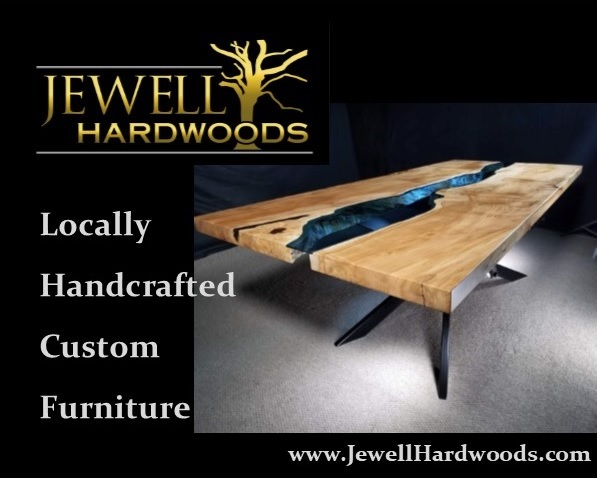 Feel free to contact us by phone or email: info@jewellhardwoods.com or Office: 503-785-3935.